Chancellor Terry L. Allison has declared 2017 a Jubilee Year at IU South Bend. The special designation is to celebrate the convergence of three important anniversaries: 100 years of classes being offered by Indiana University in South Bend, 50 years of diplomas being conferred at IU South Bend, and the celebration of 25 years of providing academic programs through a unified School of the Arts. 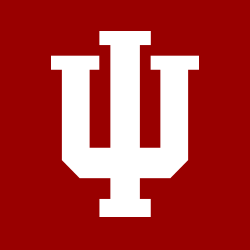 Indiana University offered its first class in South Bend in the spring of 1916. 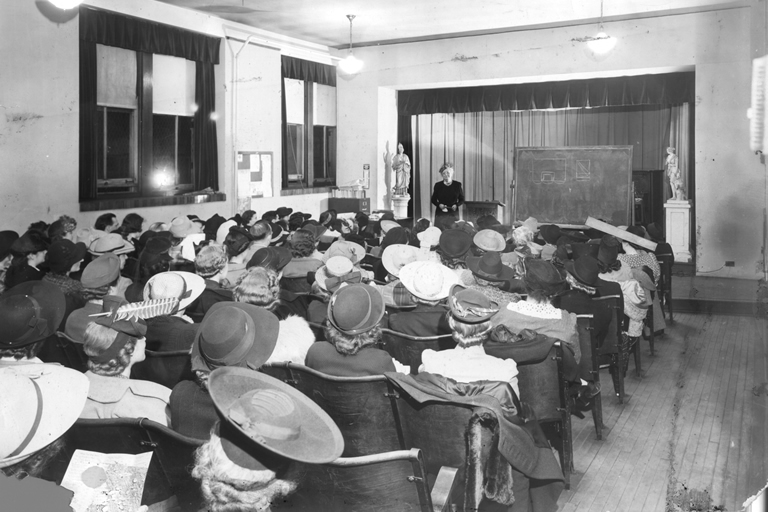 An organized extension program began in 1933 and consisted almost entirely of evening courses at Central High School in downtown South Bend. 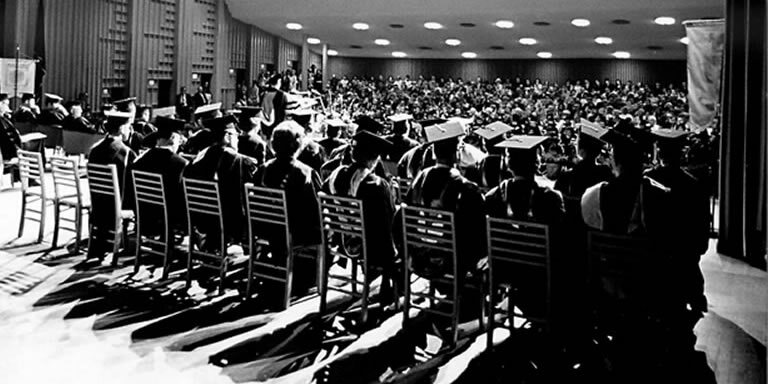 The first degrees were conferred at IU South Bend in 1967 in the Main Auditorium in Northside Hall. 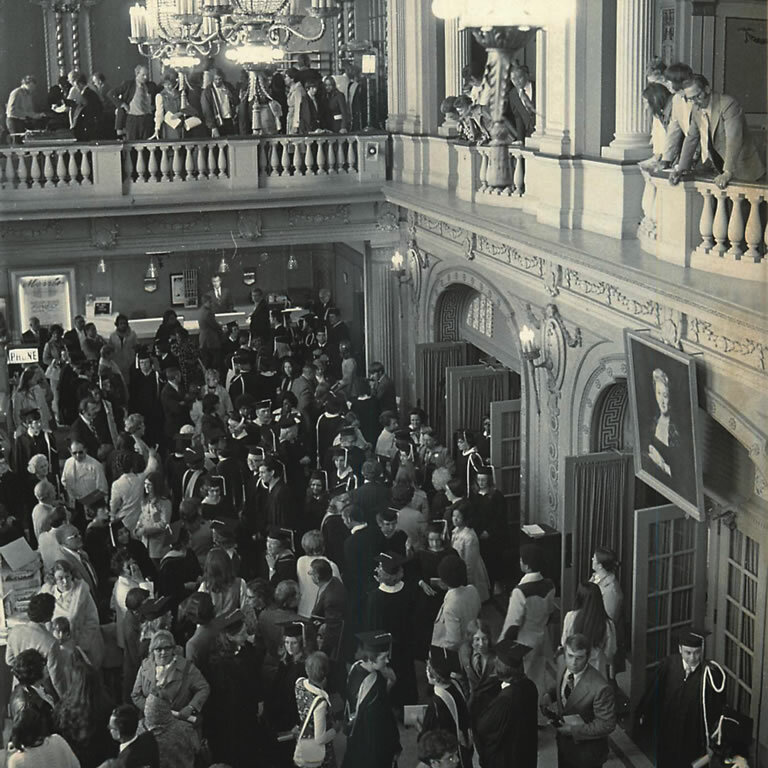 Due to the increasing number of graduates, commencement was moved to Century Center, The Morris Performing Arts Center downtown South Bend in 1971, and then to Purcell Pavilion at the University of Notre Dame where it continues today. The Division of the Arts was created in 1990 and officially became the School of the Arts in 2000. 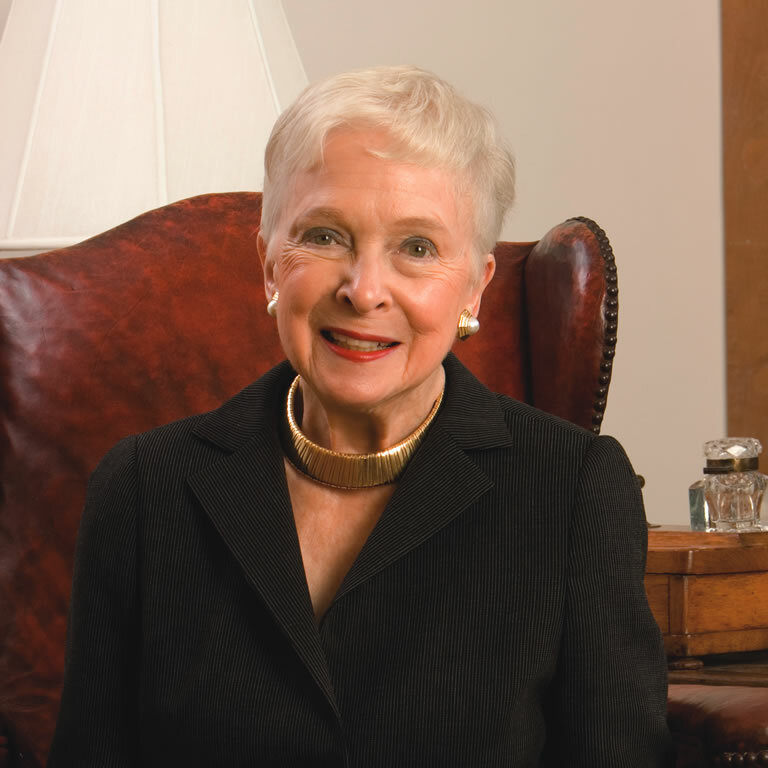 Two years later it was named the Ernestine M. Raclin School of the Arts in recognition of a gift from local benefactor Ernestine Raclin. This year’s Alumni week kicks off with a BFA Student Exhibition you won’t want to miss. 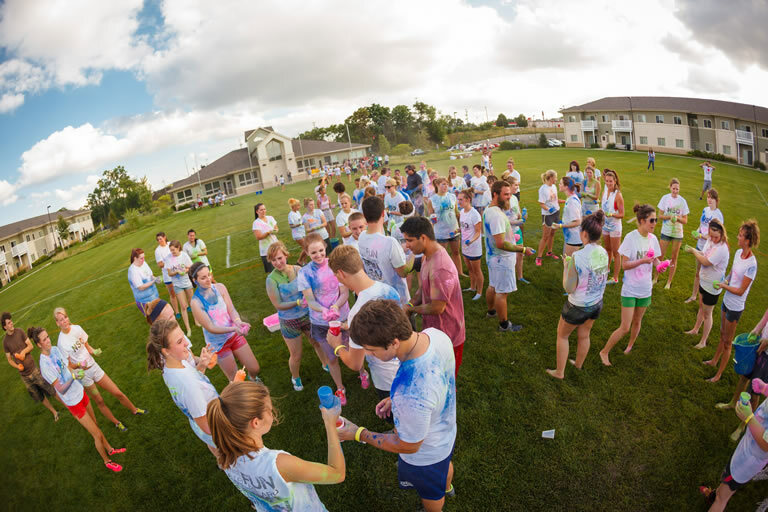 Check out the rest of the Alumni Week Events to plan your week. 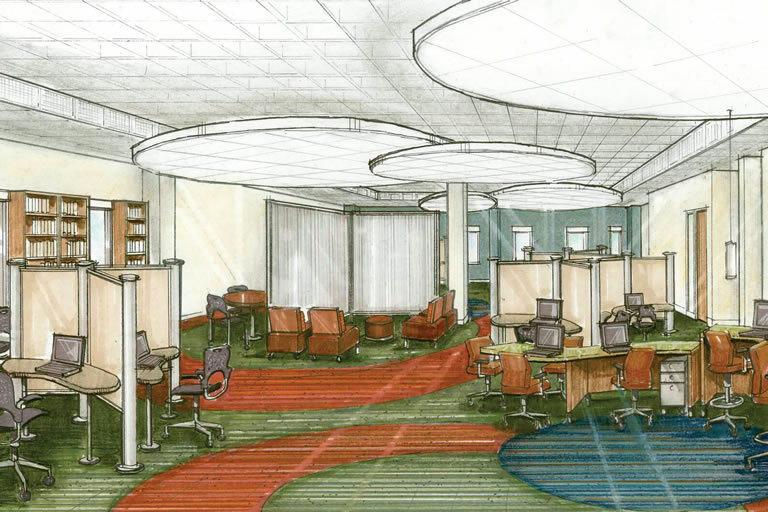 Click through the slideshow to see how IU South Bend has grown. 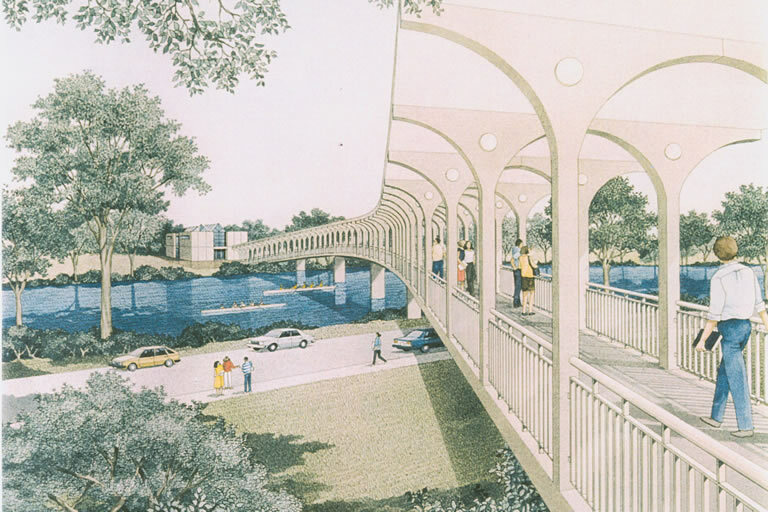 The IU South Bend Pedestrian Bridge, completed August 2006, connects River Crossing student housing to the main campus via a short walk across the bridge and the Saint Joseph River. 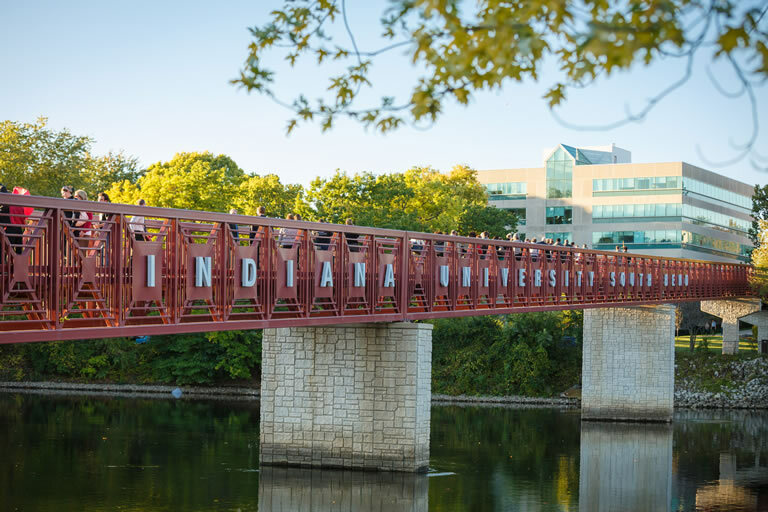 The bridge with its large letters spelling out "INDIANA UNIVERSITY SOUTH BEND" has become the most recognizable and frequently photographed symbol for the campus. Student Housing at River Crossing opened in time for the fall semester of 2008. In addition to the eight apartment-style buildings that provide housing for 400 students, there is also a community center. 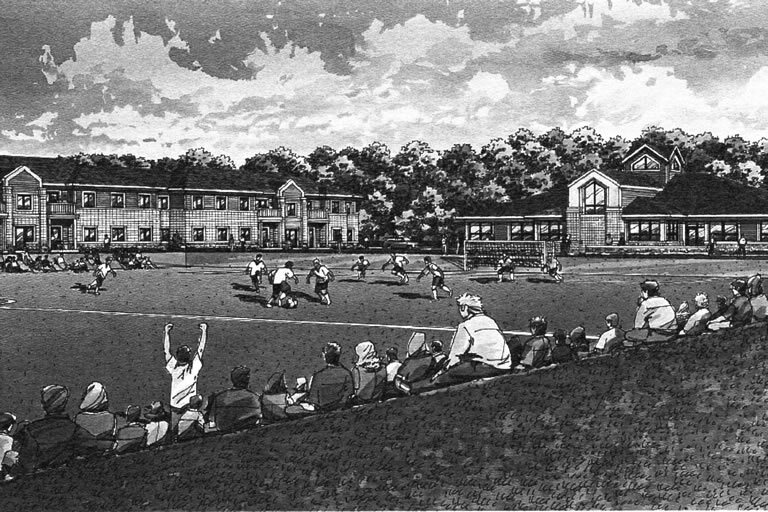 Opened in 2002, the Student Activities Center provides space for student activities and athletics, including two basketball courts, varsity and practice volleyball courts, racquet ball courts, a training room, office and meeting rooms, a running track, and extensive exercise facilities and locker rooms. 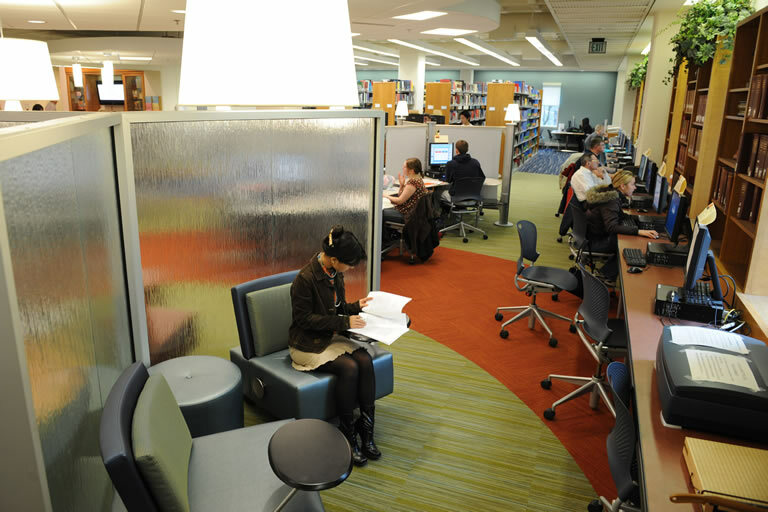 The Hammes Information Commons, opened fall 2007, and continues to be a collaborative workspace that allows students a one-stop place to work in groups or individually on research and multimedia projects, and to receive assistance from reference librarians, technology assistants, and multimedia specialists. 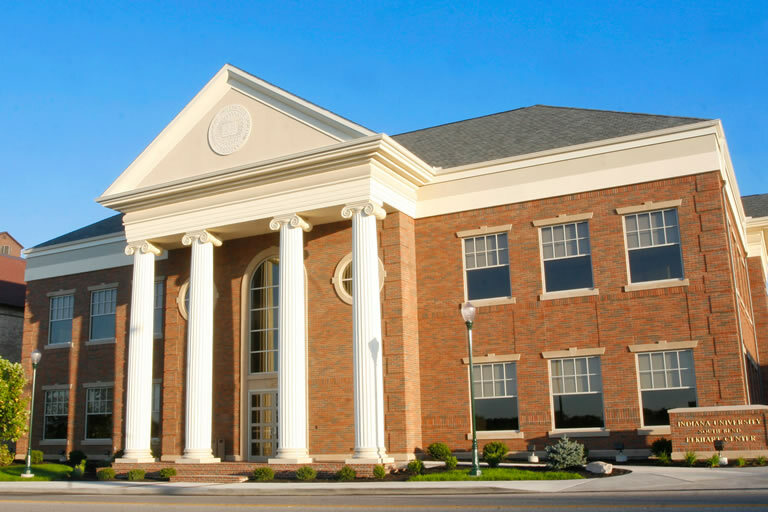 The IU South Bend Elkhart Center located in downtown Elkhart was completed in 2007 and provides a permanent base and presence in Elkhart. 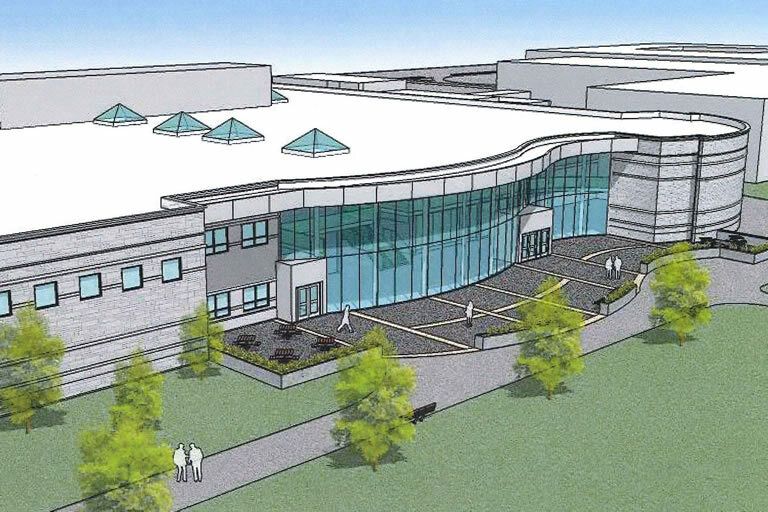 It is 25,000 square feet and contains 13 classrooms including a student lounge, technology center, and science lab. The Education and Arts Building was originally home of the Associates Insurance Corporation. Owned by IU since 1975, it was rented by the Associates Insurance Corporation for more than thirty years and both Associates and IU shared space in the building until 2012. 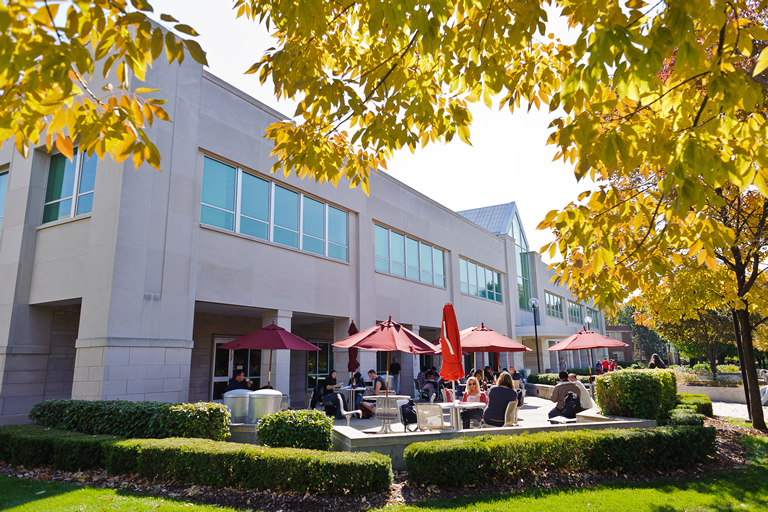 IU remodeled the building in 2013 with ample space for the School of Education, much of the Ernestine M. Raclin School of the Arts, and the Dental Hygiene Program. 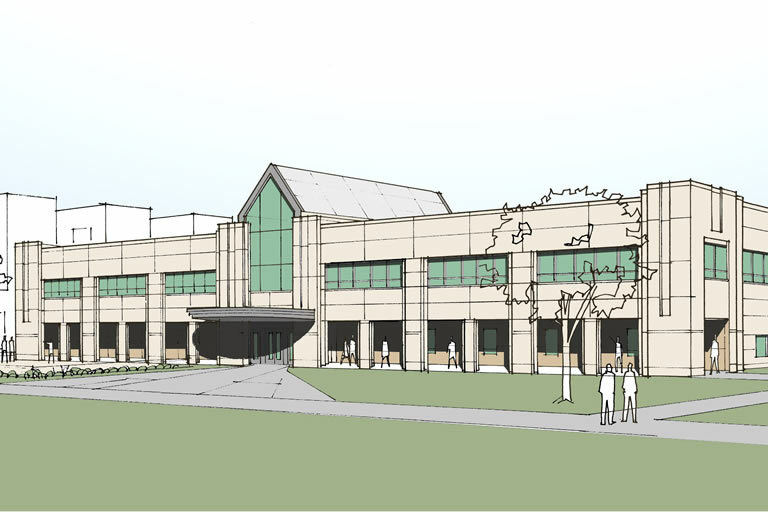 Vera Z. Dwyer College of Health Sciences' community clinic, concept rendering. 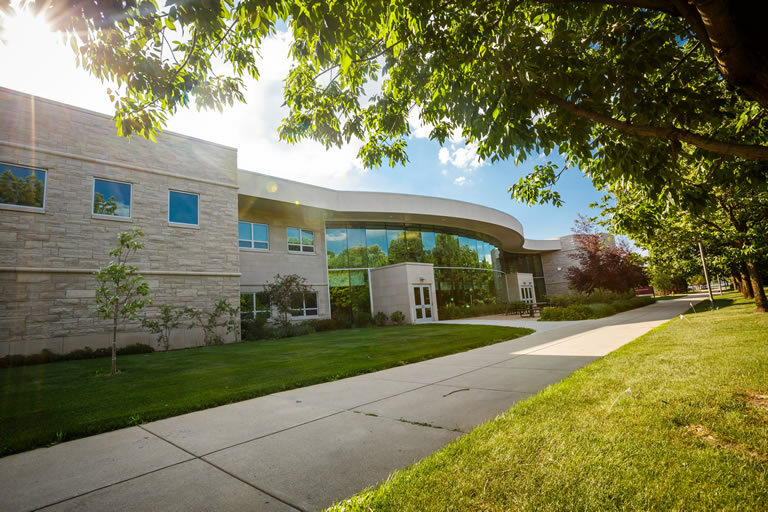 IU South Bend’s original fourth building, Riverside Hall, was built in 1969 to provide office, laboratory, as well as clinical facilities for new programs in dental assisting and dental hygiene. 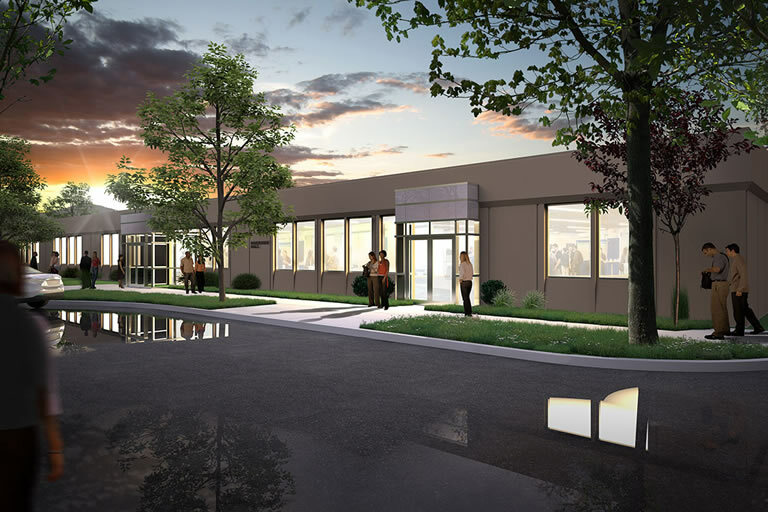 Located across Northside Boulevard from the rest of the campus, its location was sometimes considered rather isolated by students and faculty. 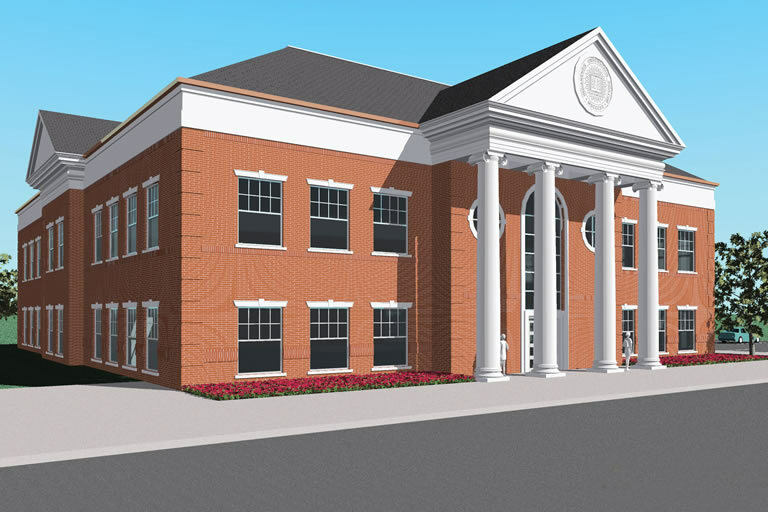 Renovation began in 2016 to repurpose the space to become the future home of the Vera Z. Dwyer College of Health Sciences and community clinic.